Michael Morehead has more than 25 years of experience in banking and securities regulatory law, previously holding top-level positions within the Illinois Department of Financial and Professional Regulation and Illinois Securities Department. He represents numerous financial and securities firms located across the United States and provides legal counsel on banking, securities, "Blue Sky" regulatory compliance; commercial and consumer lending; corporate governance; administrative law defense; and M & A coordination. Michael also provides civil litigation assistance to other attorneys at Hinshaw & Culbertson LLP. 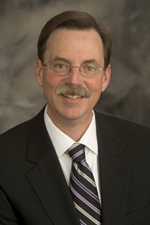 As former Chief Counsel for the Illinois Division of Banking within the Illinois Department of Financial & Professional Regulation for more than seven years, Mr. Morehead developed and drafted legislation related to the regulation of state banks and corporate fiduciaries; reviewed all state-chartered financial institution corporate applications; and authored numerous legal interpretive and no-objection letters explaining the scope of activities and services approved for state-chartered banks, corporate fiduciaries and foreign banking offices. He also served as one of the Banking Division's central points of contact for financial industry trade groups and federal banking regulators. Mr. Morehead also previously served for over thirteen years as counsel to the Illinois Securities Department, including seven years as the Department's Assistant Director for Enforcement. In that position he helped to develop and coordinate a number of multi-state securities investigations and administrative prosecutions. As leader of the Enforcement Division, he assisted in the prosecution of numerous state and federal securities law related criminal cases.